The University of New Brunswick has received a $500,000 contribution from ARC Nuclear Canada Inc. for the advancement of its ARC-100 technology development and engineering studies. The contribution forms part of the collaborations initiated through the Small Modular Reactor Research and Development Cluster that was announced by the Government of New Brunswick in the summer of 2018 and is matched by GNB. ARC Nuclear Canada Inc., GNB and UNB are all excited by the opportunity that this research partnership represents. “We are very pleased to be in New Brunswick to develop our proven technology, while building a good base for the supply chain with its added benefit of significant economic growth for the province New Brunswick,” said Norman Sawyer, president of ARC Nuclear Canada Inc. The funding will be used by UNB and UNB’s Centre for Nuclear Energy Research (CNER) to conduct targeted research and development activities to assist ARC Nuclear Canada Inc., while participating in the Canadian Regulatory vendor design review process for their inherently safe ARC-100 technology. The funding is also targeted to re-establish nuclear engineering curriculum within UNB’s faculty of engineering. Such collaborations will allow ARC Nuclear Canada Inc. to establish New Brunswick as a centre of excellence and a manufacturing hub for advanced SMR products providing with well-paying jobs. About ARC Nuclear Canada Inc. Formed in 2006, the parent company, Advanced Reactor Concepts, seeks to commercialize its small modular reactor of 100 MWe that offers a unique 20-year refueling cycle and an ability to deal with current waste. The vision of ARC Nuclear Canada Inc. is to supply to worldwide energy markets with the ARC-100 technology and assist in addressing climate change through safe, clean, affordable, and proliferation-resistant electrical generation, both in the developed and the developing world. Photo: Front row: Dr. Derek Lister, UNB professor emeritus, Robert C. Braun, Senior Vice-President & Chief Operations Officer, ARC LLC. 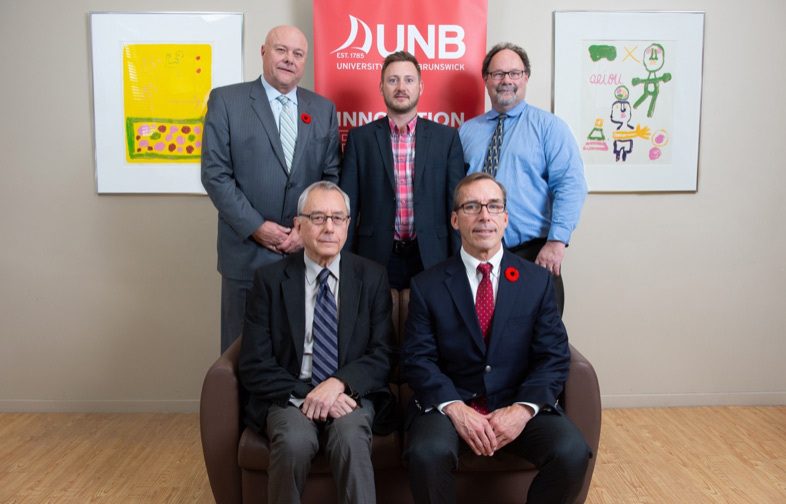 Back: Norman JD Sawyer, President, ARC Nuclear Canada Inc., Dr. William Cook, Director, CNER, Dr. David Magee, UNB Vice-President Research.